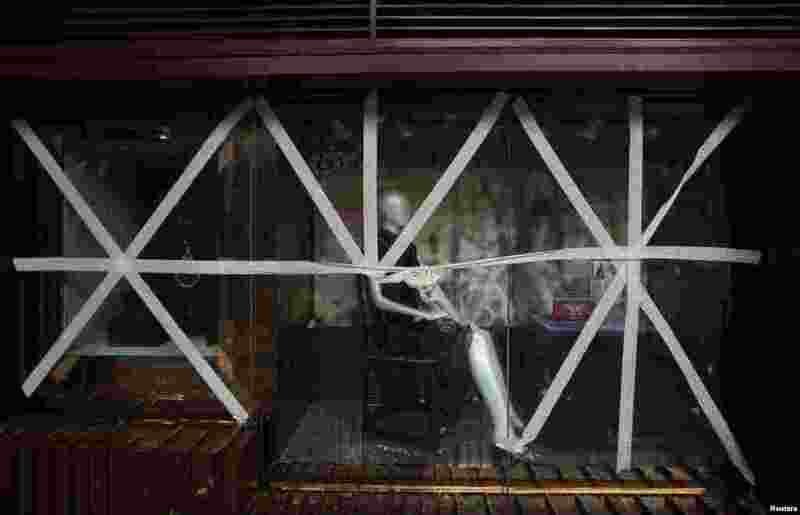 1 Display panels of a store in the Tsim Sha Tsui shopping district are taped together as part of safety measures in preparation for Typhoon Vicente, Hong Kong, July 24, 2012. 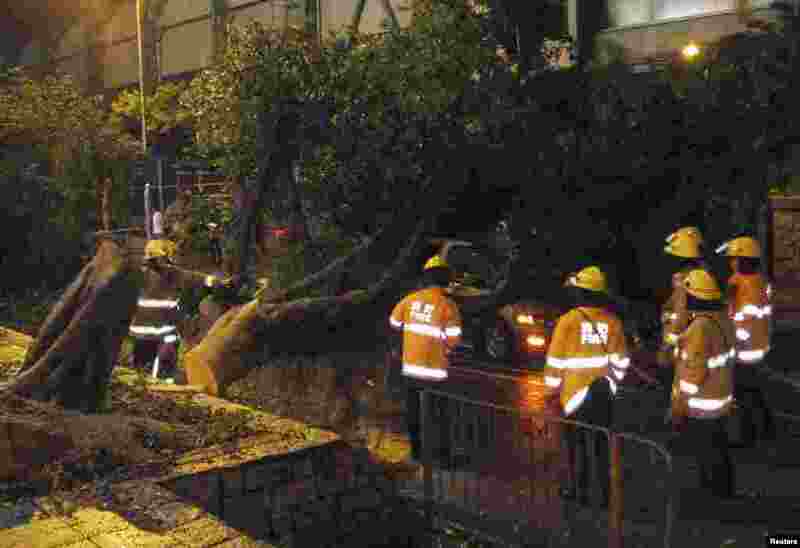 2 Firemen try to remove a tree that hit a car during a typhoon in Hong Kong's rural Taipo district, July 23, 2012. 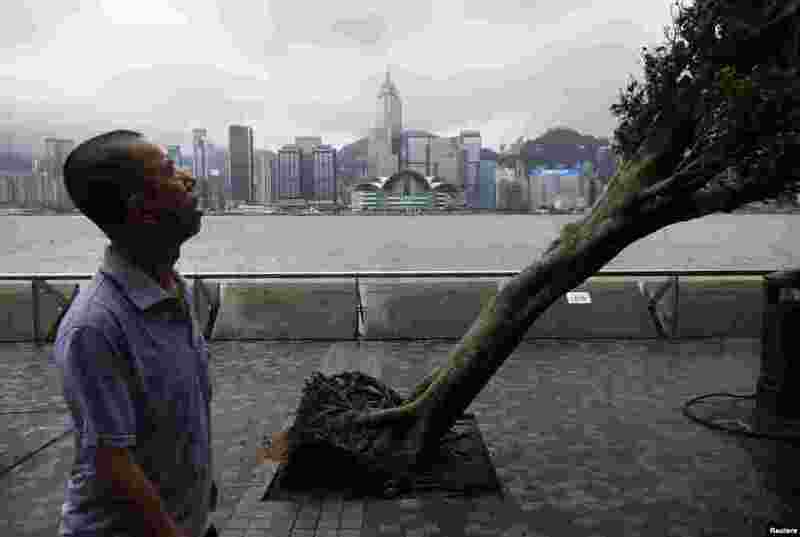 3 A man reacts while walking past an uprooted tree after Typhoon Vicente hit Hong Kong, July 24, 2012. 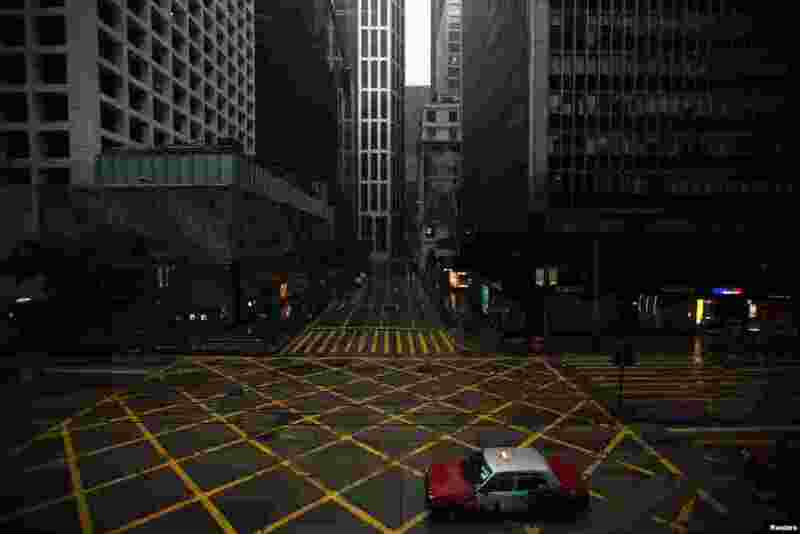 4 A taxi drives across an empty street in Hong Kong's central business district as Typhoon Vicente approaches, July 24, 2012. 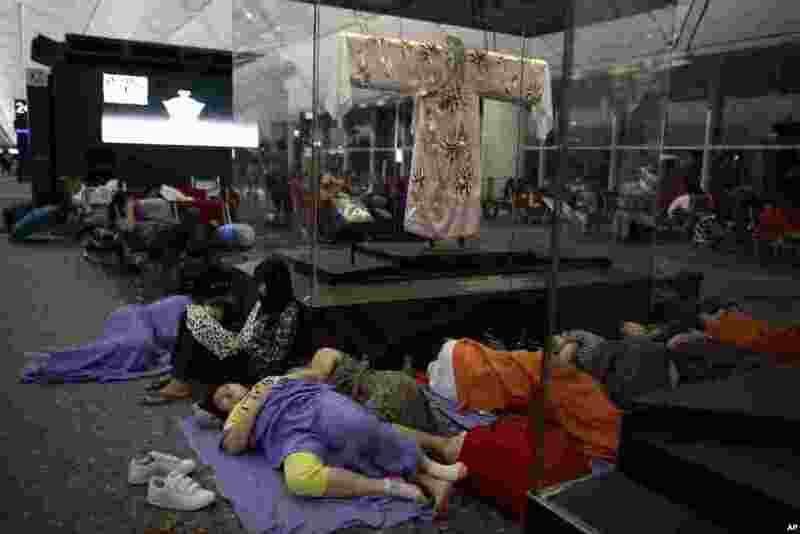 5 Passengers sleep in an airport terminal after typhoon Typhoon Vicente stopped flights out of the airport in Hong Kong, July 24, 2012. 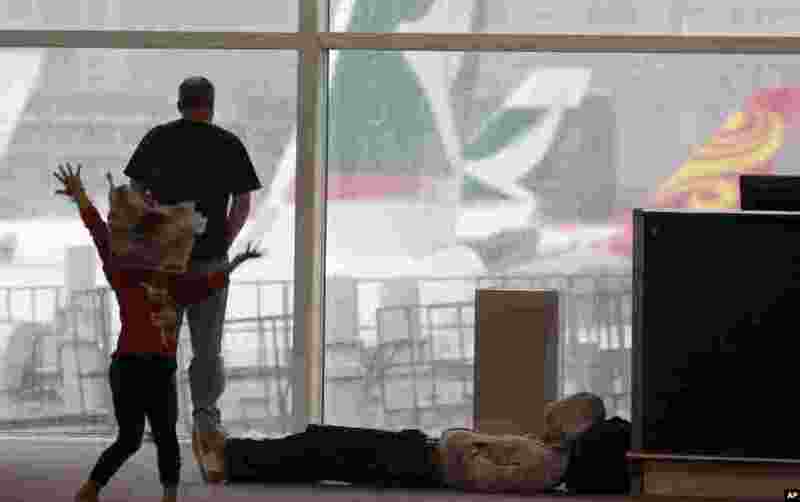 6 A girl dances with a newspaper to entertain herself after a night stranded at the airport by Typhoon Vicente in Hong Kong, July 24, 2012. 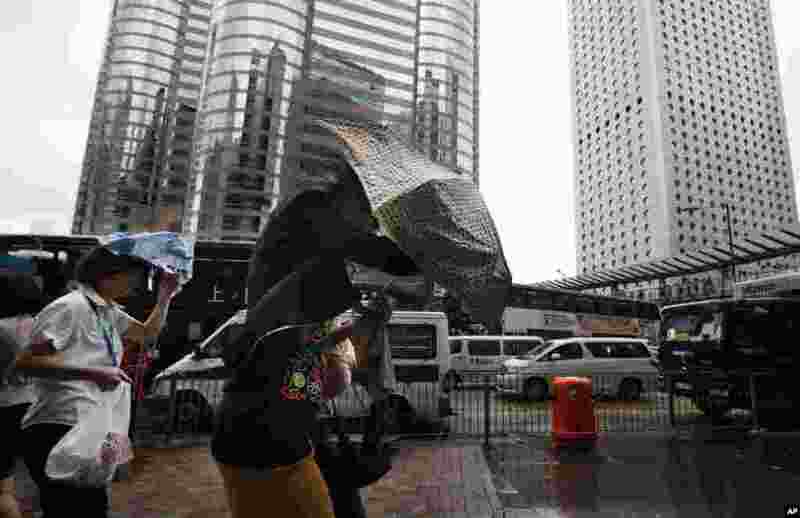 7 Pedestrians brave the strong winds in Central, the business center in Hong Kong Monday, July 23, 2012.